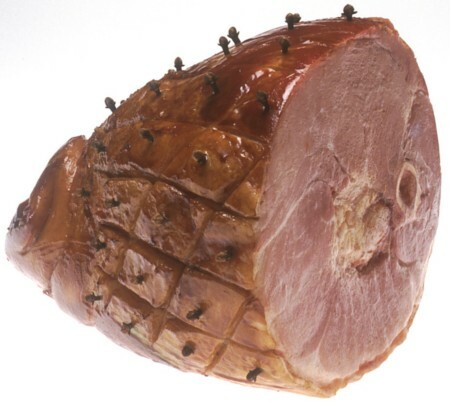 Ham is the thigh and rump of pork, cut from the haunch of a pig or boar. Although it may be cooked and served fresh, most ham is cured in some fashion. Tinned ham or canned ham is a meat product that is sold exclusively in tins (or cans). The ham itself is usually formed from smaller cuts of meat, cooked in the can, and is often covered in an aspic jelly during the canning process.